Roger Hannah successfully retain the EGi Most Active Agent 2012 award for Greater Manchester for the 3rd year running! Home Latest News agency-services Roger Hannah successfully retain the EGi Most Active Agent 2012 award for Greater Manchester for the 3rd year running! Every year, Estates Gazette announces which Agents and Surveyors have won their coveted awards across the UK regions. These regional awards are based on the total number of lettings and sales achieved in the previous twelve month period. 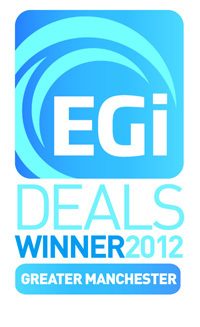 Roger Hannah & Co are proud to have been awarded the “EGi Deals Winner 2012: Greater Manchester” for the third consecutive year. Head Of Agency & Director at Roger Hannah & Co, Stuart Cooper commented ”This award indicates that, even in the current difficult economic climate we are remarkably active, having sold and let more commercial property than any other agent in the Greater Manchester region and thus consistently outperforming our competitors for the last three years. This is even more satisfying due to the extremely difficult economic conditions and is testament to the teams work ethic to “get deals done”. Estates Gazette is the national premier commercial property publication, its EGi website attracts more people seeking business premises than any other. 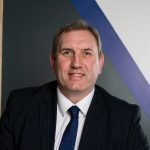 With over 20 years' experience in commercial property Agency and Investment Agency, Stuart Heads both Departments in a combined role and is also a Director of Auction House Commercial, every day is something different.